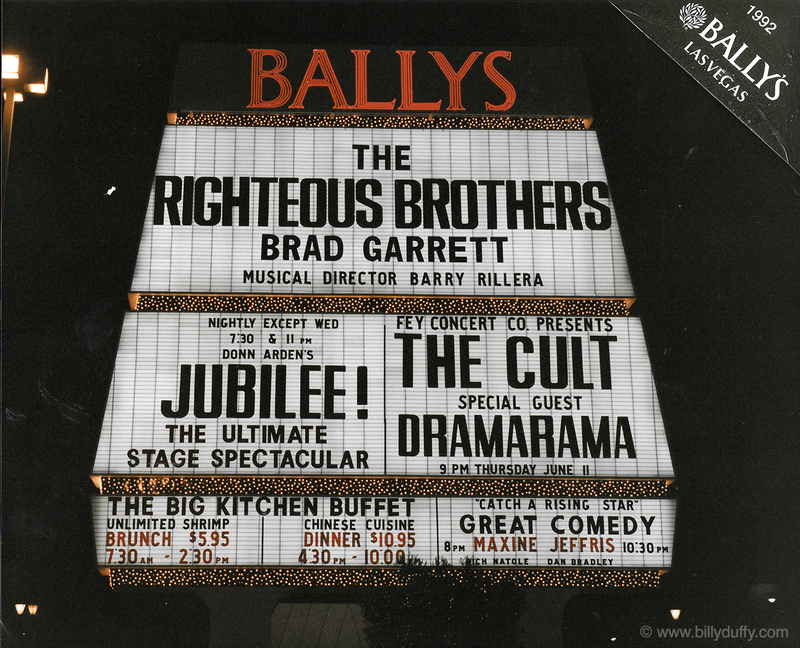 "This photo was presented to us as a memento of our show at Bally's Casino on June 11th 1992. I can't recall much about this show apart from the excitement of playing "old" vegas before it got all modernized with new venues. It was in the ballroom of Bally's which was huge but not really made for rock n roll shows. From what I do remember it was good and exciting but mostly a trip to even play on the strip at that time."